Coordinate Regulation of Translation by the PI 3-Kinase and mTOR Pathways. Histone Acetyl-Transferases and Deacetylases in the Control of Cell Proliferation and Differentiation. Molecular Pathogenesis of Human Hepatocellular Carcinoma. The Cell Mediated Immune Response to Human Papillomavirus Induced Cervical Cancer: Implications for Immunotherapy. The T-cell Response in Patients with Cancer. The Life and Death of a B Cell. 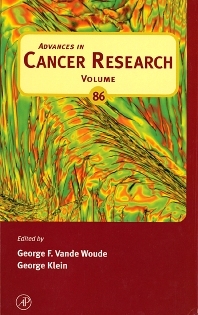 Researchers and students in the basic and clinical science of cancer biology and oncology, genetics, immunology, pharmacology, cell and molecular biology.